I first read this book when I was about 16, and it has stayed with me ever since. I have re-read it countless times and recommended it to scores of friends. This is an historical fiction novel, a genre that does not usually tickle my fancy. I only really started paying attention to the genre when I read Margaret George’s novels. Reading both George’s and Diamant’s novels have given me an appreciation for the amount of research and time that goes into writing a good historical novel. The entire narrative revolves around one main character. Dinah is the daughter of Jacob, and the only sister to the 12 sons of Jacob. If you know Judeo-Christian religious doctrine, you will recognise these sons as the 12 tribes of Israel. At this point, I would like to point out that I am in no way a religious person and that this is not a religious book. 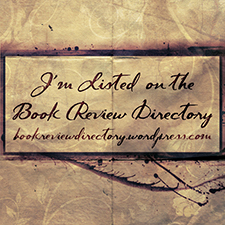 If anything, it is a biographical novel which maps Dinah’s life from birth to death. 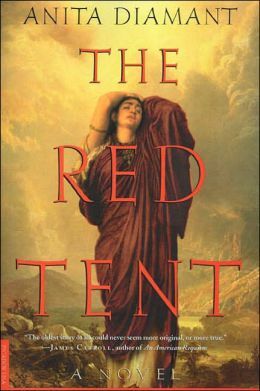 The novel gives us a rare view of the red tent and the inner workings and influence women had on the society around them. The religious doctrine is the book alludes to Abrahamic structures but is set in a decidedly polytheistic era. These two ideologies are seamlessly married in this book. So, what is the red tent? The red tent was the menstrual tent, set up within the homestead of any familial dwelling area. Families were substantially larger at the time, and often nomadic. This tent was for the women, who would enter the red tent during their monthly cycle (usually 3 days and 3 nights). Women were not permitted to do anything during this time. In ancient times, women were considered to be unclean or, at least, unfit to perform their regularly duties during menzies. This novel takes that social convention and tells the story from the women’s perspective. Women in the novel see this as a time of rest and rejuvenation. They drink sweet wine, eat treats and bond within the tent. During later scenes in the novel, the women use this private space to make clandestine plans and decisions, as men and children past nursing age are not permitted in the tent. It is a fascinating interpretation of the period and the society that many have researched and tried to understand. It must be said that this is fiction so read this book with an open mind but don’t do what some crazy readers did with Dan Brown novels, and believe every word as fact. This is a first person narrative, which can often be disappointing and quickly bore the reader. Diamant is supremely skilled and able to weave such a complicated vast story that you become utterly immersed. At one point, it was as if I could feel the dust on my feet, the quenching salvation of the river water or Dinah’s anguish and heartache. The reader becomes the character. Even with the richness of the story, the language is simple, easy to understand and relate to, yet emotive. I think this assists in the immersion process. Diamant’s turn of phrase is smooth and unencumbered. The novel is written as is Diamant herself is from the era the novel is set in and this results in often creative descriptions of what we would consider everyday things. What this does is force the reader to think like the ancients would have which further lends an air of authenticity to the writing style and, ultimately, the story itself. At times I found myself crying with Dinah or feeling her outrage as if it were my own. The novel paints an exquisite portrait of a period lost to us in the dust of time. At the same time, I found that this novel did not romanticise the period. It is a story about community, about family, about women, about love and loss. It is a story about struggle and perseverance, it is a story of survival. It brings to life the adaptability and resilience of the human spirit, especially when you feel like you are journeying with Dinah from all she has ever known to the strange brightly coloured world of the Egyptians. I would say that this book is an absolute must read for every woman. And, no, this is not the start of a femanazi rant. Reading this book made me realise just how unique I am as woman but the kinship women could share in this modern era if we chose to focus on the positive. A girl becoming a woman was a cause for celebration, she was treated like a queen and revered as a giver of life. I have no desire to bear children but I cannot deny that my body is able to achieve and produce something amazing by bringing life into this world. This is not a love story, so don’t expect romance and confessions of adoration. This is a story that millions have lived and that many more millions are yet to live. It is just a girl and her life, and trying to find her way through it all.